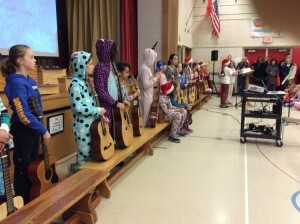 Guitar Club ready to perform at the I.R.C. Carol Sing-a-long. We rocked. Just in case you’re wondering, it was pajamas day. There are no stated learning objectives in the keyboard corner. 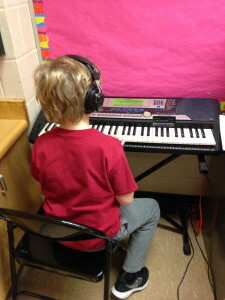 Each student gets solo creative time. 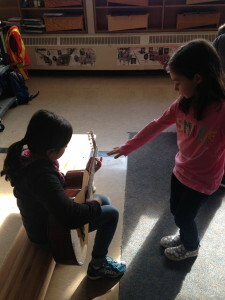 It’s also a great place to chill out after a tumultuous recess. 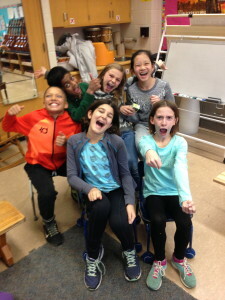 February 18th at 6:30pm is I.R.C.’s Improv. Night! 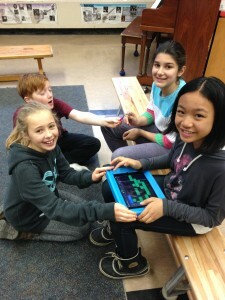 Grades 3-6 students will be featured as well as the Improv Troupe. 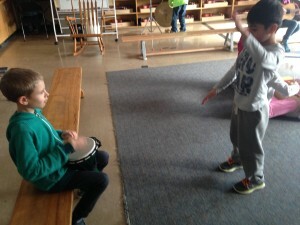 Here are pictures of Grade 3s improvising and creating new music with movement. 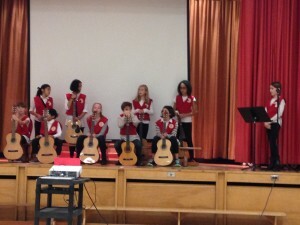 Some of Guitar Club accompanying Quinn singing “Blowin’ in the Wind” at the Remembrance Day Assembly. Gorgeous. 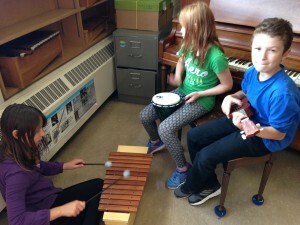 We’ve been jamming a lot in Music class this year. 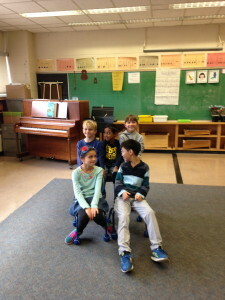 Improving improv skills and learning to listen. 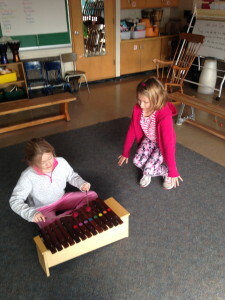 The students are creative and ready for any challenge! Author katherinefraserPosted on January 9, 2016 January 9, 2016 Leave a comment on Improving Improv. 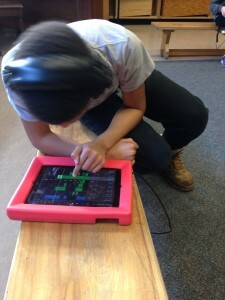 The Grade 6s and I are part of a TDSB GarageBand composition project: We are using garageband on the iPads to compose a piece that will then be scored for the ensemble, Continuum, by composer Chris Thornborrow. We will attend a concert where the professional musicians perform OUR masterpiece. It’s still in the working stages but, as you can see, we’re pretty excited! This year the students and I are learning and loving improv drama games – the top two favourites are Hitchhiker and Freeze Tag. 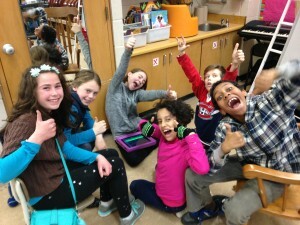 Ms Smith and I are running an ‘Improv Troupe’ club made up of Grade 5 & 6 students. We’re working towards two February performances. Author katherinefraserPosted on December 31, 2015 December 31, 2015 Leave a comment on Hello world!